When you hit an error 404 web page like that it can be alarming and a little scary. If you saw something like this you probably hit the ‘Back’ button immediately and went to another website. But wait…If you own a website you want to make sure your site doesn’t have any 404 error on it, right? I mean, if people were landing on a page like that on your site, you would want to fix it — ASAP! You might be thinking, “Why would I have an error 404 on my site? I haven’t done anything to create any errors. I’m good.” Danger Will Robinson! 404 error’s are more common than you might think. And they can mean different things. This article will share some causes of 404 errors as well as how to find and fix them. If you don’t fix an error 404 on your site, you could be missing out on vital web traffic AND business. Luckily, a 404 error is not as scary as it sounds. It simply means, “There is no page on this URL.” If you were worried, you can wipe your brow. Your site hasn’t been hacked or anything. But, don’t rest easy yet, you have work to do. There are many ways to find 404 errors on your website. Since we’re specifically talking about WordPress sites, I will share my favorite two. …Our other favorite source for finding an error 404 on your site is Google Search Console (formerly known as Google Webmaster Tools. Don’t ask me why they changed their name, I suspect it’s because Bing and Yahoo created their own ‘Webmaster Tools’ and Google had to stay unique). Once you’ve created your account, simply click on the ‘Crawl Errors’ button and voila! Google shows you the history of 404’s found on your site. It also gives you the opportunity to notify Google that you’ve fixed the issue. If you are in the Redirection plugin on the 404 page, all you have to do is hover over a listed 404. You’ll see a link pop up that says: “Add Redirect”. Click it. A window pops up with the 404 already pre-populated. Enter the link where you would like the traffic to go. Click the “Add Redirect” button. All done! You want to see if you can guess where people are trying to get when they land on your error 404. For instance, if they landed on a page that has to do with buying a product, redirect them to a similar product. Or if is looks like they were trying to contact you, redirect them to your actual contact page. If you find a 404 using Google Search Console you can still use the Redirection plugin. Simply navigate to the plugin page and scroll to the bottom of the page. There is a section to create a redirection for any link you desire. It’s so easy to use. We love it! It’s a long and endless list, to say the least. You can find all this information out via your 404’s. Cool, right? The Redirection WordPress plugin by John Godley has some cool features in it. One we’ll make special note of is that you can see the IP address that generated the 404 error. An IP address is just the ‘computer address’ of the person or bot using that computer or server. Using this plugin you can detect some potential malicious behavior on your site. For instance, if you find that a 404 was generated for a page like /wordpress/wp-login.php or /users/register you can tell that this user or bot is trying to find the login page to your site. That’s not good. Now, you can’t use the Redirection plugin to block that IP. But you CAN grab the IP address and block it. First, do some research. Look the IP address up here: whatismyipaddress.com/ip-lookup. Review comments left by others for details about potential harm. Then click the red ‘Blacklist’ button. See if that IP has been registered as harmful. Next, If you determine the IP is harmful, or potentially unsafe, block it. We use our htaccess file and the iThemes Security plugin to block malicious IP’s. That is a whole other blog article which… we’ll write about soon. For now, install the Redirection plugin and start using it immediately. If you don’t, your visitors are going to get that scary error 404 message and click that ‘Back’ button, which means you lose their business and lose out on helping people who need it. 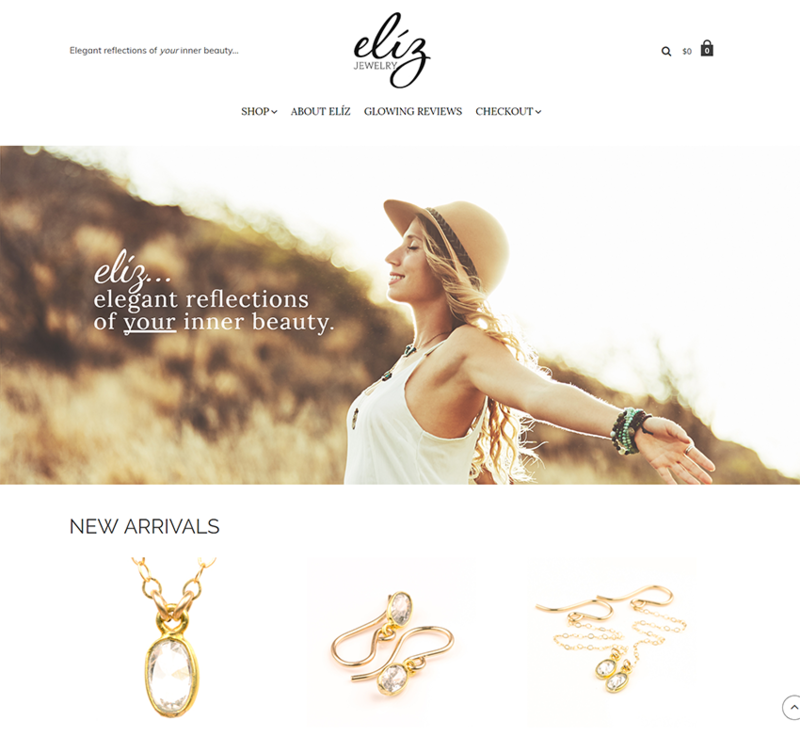 We spent painstaking hours and hours of brand development, brainstorming and market research to settle on a name that would convey the elegance and meaning that goes into Liz’s custom jewelry. Then we matched the name to fonts that matched that elegance and quality. We even developed the tagline to express the spirit of Elíz and make her customers feel beautiful. 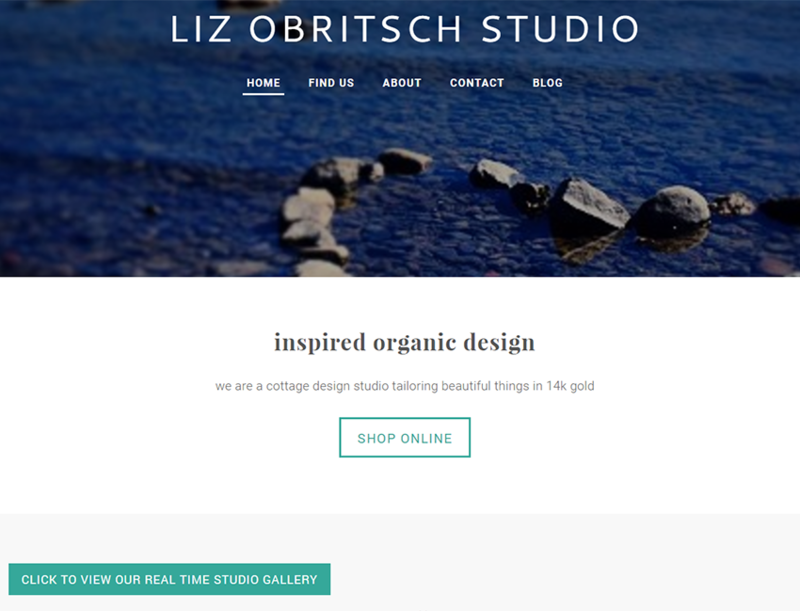 We built the custom website on WordPress and implemented WooCommerce so Liz could accept orders online. Her dream is to travel the world finding inspiration for new jewelry pieces, while still being able to conduct business. With an ecommerce website built on WordPress and WooCommerce, that is possible. We are lucky to have an in-house photographer who takes gorgeous pictures of Liz’s jewelry. Presentation is a vital part of making a sale online. Since visitors can’t try on pieces, they need the best visual experience possible from the website. Liz needed social networks to start sharing her work with. We created Facebook, Twitter, Instagram, and Pinterest accounts for her. We also created a MailChimp email list so she can start growing her email list and marketing to her fans directly. We are proud website hosts, domain registrar, and website maintenance for Liz. View our services to see how we can help you dazzle your visitors and grow your business! We started completely from scratch with this project. 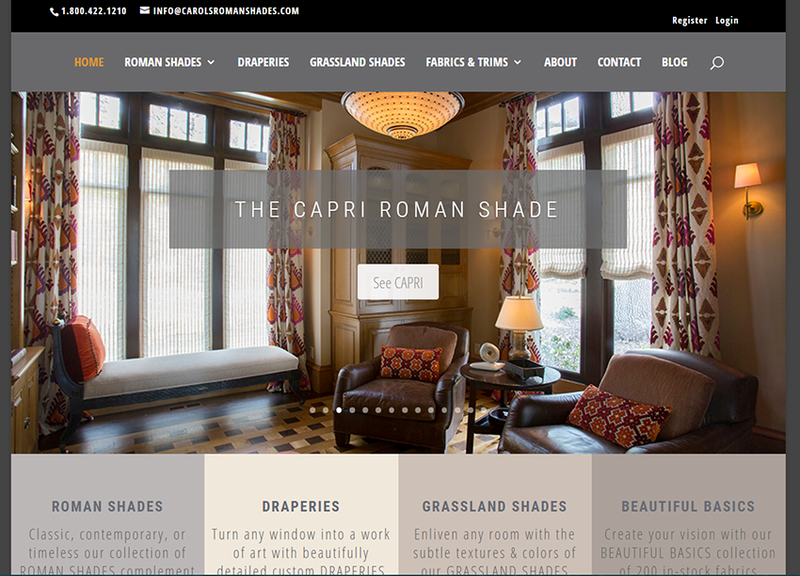 The first step was to develop a look and feel that really showed off the client’s products. From there we developed the custom design into a fully-functioning WordPress website. 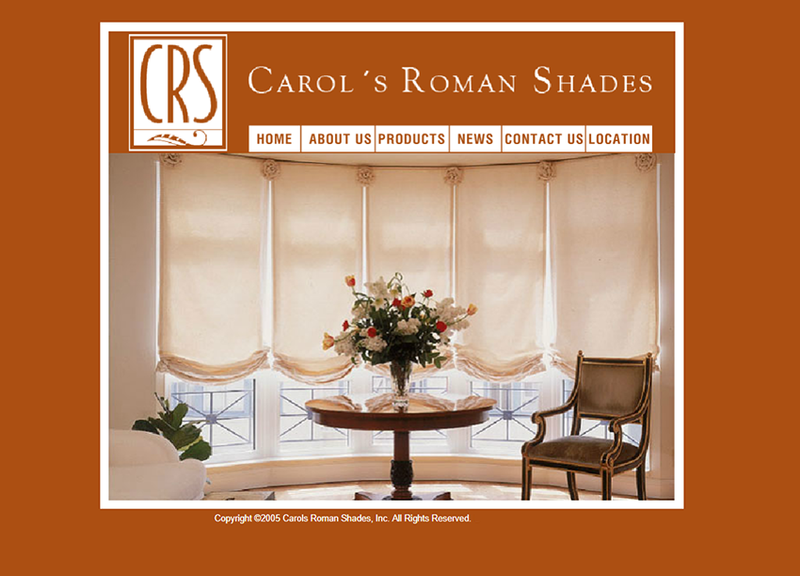 CRS has many different types of products, so we needed to lay the website out in a way that was easy to navigate on the front end. It also needed to be simple to manage in the back-end, so with some customizations and WordPress development we designed a site that gets visitors to the products they’re looking for quickly and conveniently. CRS interacts directly with their clients and needed an online interface that would make the process more convenient both for themselves and for their customers. We developed a fully customized customer portal that allows CRS and their clients to automate vital processes. This solution not only makes everyone’s lives easier, it will grow with CRS as their needs change and adapt. We provide website hosting and website maintenance as needed to keep everything running smoothly. Contact us to see how we can help you strut your stuff and show off your products!